With the holiday season quickly approaching, it is the time that family and friends come together to share unforgettable memories. During the holiday season, the long-haul trucking can be rewarding as many items and presents need to make their arrival to shoppers, stores and restaurants. Even though trucking is rewarding during this season, it can be dangerous as more families are hitting the highways. As a truck driver, if you are going to be out on the roads this holiday season, here are some safe driving tips to keep in mind. Keeping your rig up-to-date on maintenance is what makes the most difference in making your trip not only enjoyable, but safe. Do a once over inspection before you hit the road to ensure that your truck is operating correctly. If you stumble upon a problem, be sure to address the issue to avoid any downtime or being stranded on the road. 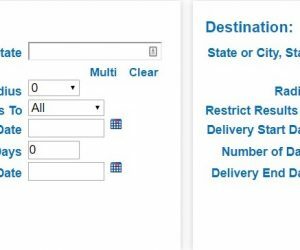 Pre-planning your routes before you hit the road is important especially during crazy holiday traffic. Try avoiding any routes that go near highly congested shopping areas such as malls. Also, if you map out multiple different routes, this can be helpful if one route fails, you will have a back-up. One other important thing in pre-planning your trip, be sure to keep up-to-date on the traffic and weather alerts before and during your travels. This can help you prepare for any hazardous areas you may come across and you can adjust your route if needed. When driving, no matter the season, it is important to reduce any distractions while behind the wheel. Already, many drivers are going to be distracted because of the busy traffic, the stress of the holidays, cell phones, or the high pile of gifts sitting in their back seat. More so during the holiday season, you should try avoiding cell phone use or eating while driving down the road. By keeping your distractions to a minimum this can increase your road safety for not only yourself but others who you are sharing the road with. For more over the road trucking tips during the holiday season, download this infographic. 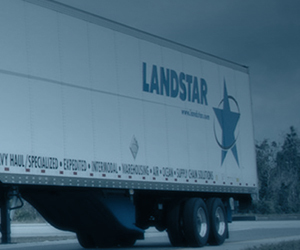 Safe Travels and Happy Holidays from Your Trusted Landstar Agent!